Sunday marked the end of the 2018 Winter Olympics in Pyeongchang, South Korea, with the 11 black American participants selected for Team USA making a less-than-desired impression on the Games. Only two black American athletes (bobsledders Elana Meyers Taylor and Lauren Gibbs) contributed to the United State’s 23 total medals (fourth among all 92 nations), but the future looks bright for at least three of the younger, first-time participants (Jordan Greenway, Erin Jackson and Maame Biney). Abdul-Saboor competed in both the two- and four-man races, placing 21st and 19th, respectively. 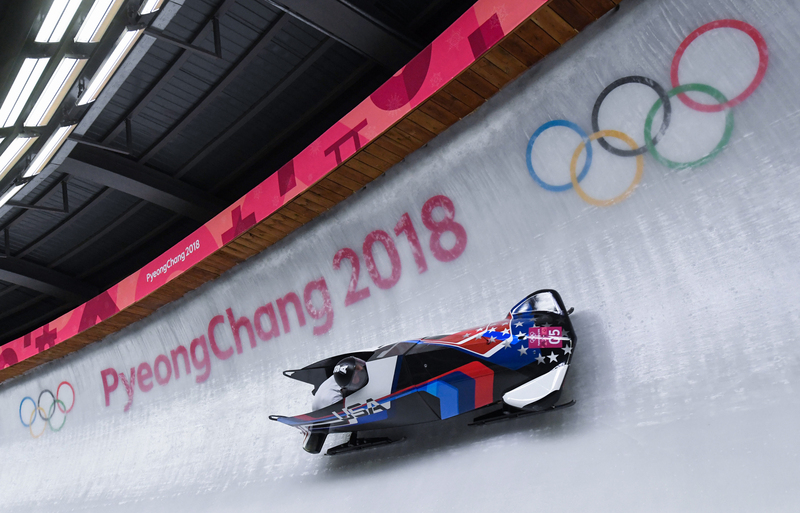 Braking for pilot Jamie Greubel Poser, who she won bronze with in the same event at the 2014 Winter Olympics, the pair placed fifth in the two-woman sled. Gibbs, alongside pilot Elana Meyers Taylor, one of the most decorated Winter Olympians ever, placed second in the two-woman sled. Meyers Taylor and Gibbs broke American start and track records during the second and third heats of the two-woman race. Kinney, with crewmates Abdul-Saboor, Nick Cunningham and Samuel Michener, placed 19th in the four-man sled. Jones did not compete at the 2018 Winter Olympics. 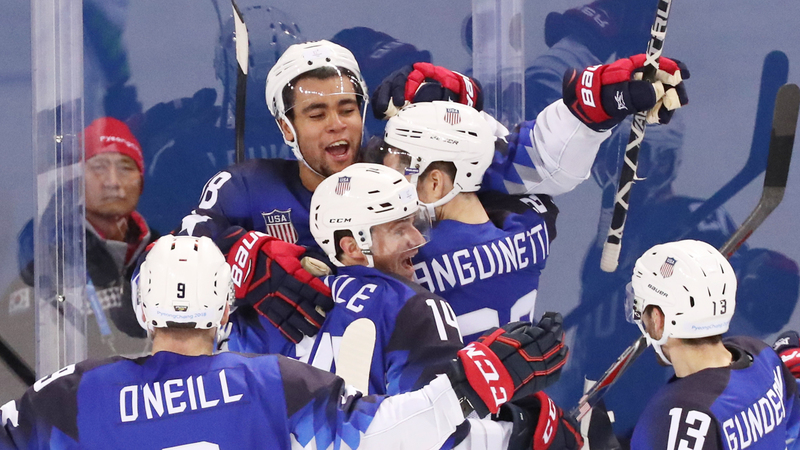 Jordan Greenway of the USA (center) celebrates a goal against Slovenia during a preliminary men’s ice hockey match between USA and Slovenia at the Kwandong Hockey Centre during the 2018 Pyeongchang Winter Olympics in Gangneung, South Korea. Through five tournament games, Greenway scored one goal on 13 shots, including the second score of the opening preliminary game against Slovenia. Team USA was eliminated in the quarterfinals after a 3-2 shootout loss to the Czech Republic. 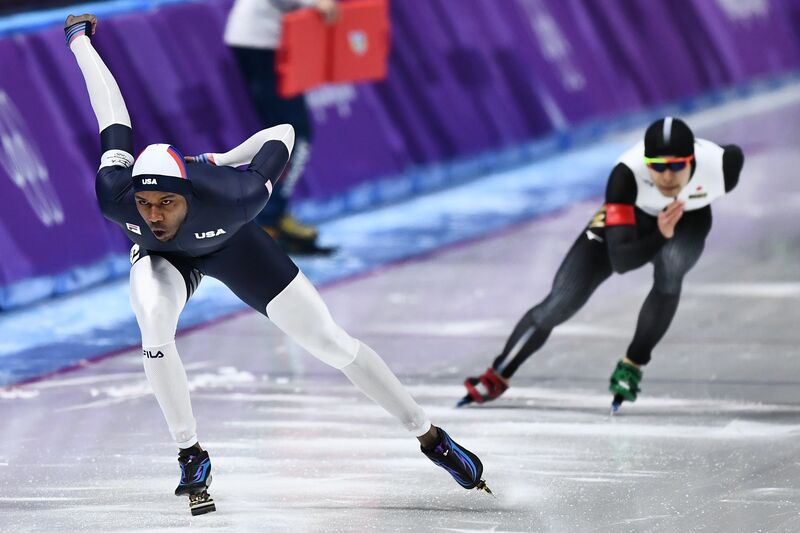 USA’s Shani Davis competes in the men’s 1,000m speedskating event during the Pyeongchang 2018 Winter Olympics at the Gangneung Oval on Feb. 23. Davis, who in 2006 became the first black athlete to win an individual gold medal at the Winter Olympics, failed to medal in what was likely his final Games, taking seventh place in the men’s 1,000 meters and 19th in the 1,500 meters. Jackson, who transitioned from inline skating to speedskating in September, placed 24th in the women’s 500 meters. The 18-year-old Ghanaian placed 14th in the women’s 500 meters and 31st in the women’s 1,500 meters. Griffin, a first-time Winter Olympian, placed 26th in the men’s 500 meters.